Yesterday, we published a piece analyzing the University of New Hampshire’s poll and made special note of their readings for US Reps. Carol Shea-Porter (D-NH-1) and Ann McLane Kuster (D-NH-2). The study results were unusual in the fact that they showed Shea-Porter’s job approval rising, but her ballot test declining, while projecting Kuster in the exact opposite position. Now, a new poll from Quinnipiac University (Jan. 29-Feb. 2; 1,139 registered Colorado voters) finds Colorado Gov. John Hickenlooper (D) in a similar position to Rep. Shea-Porter. The governor’s job approval has expanded to a solid 52:39 percent favorable to unfavorable, which is a strong improvement when compared to the numbers he was posting in the latter part of 2013. Added to his personal favorability of 47:37 percent positive to negative, one would expect that his ballot performance would be likewise improving, yet his standing continues to lag according to this data. Six years ago, quiet veteran Mississippi Sen. Thad Cochran (R) didn’t commit to running for re-election until soon before the candidate filing deadline, thus leading to false speculation that he would retire. Cochran followed a similar silent pattern in this election cycle until announcing on Friday that he will run for a seventh term. Conjecture was becoming brisk that the 76-year-old senator would end his long political career because he is already facing a Republican primary challenge from a Tea Party-backed state senator, and his fundraising has been almost non-existent among individuals. Cochran’s total receipts in 2013 are $402,284 (through Sept. 30), but his contributions from individuals totaled only $31,500, just eight percent of the amount raised. He officially begins this race with more than $800,000 cash-on-hand, however. 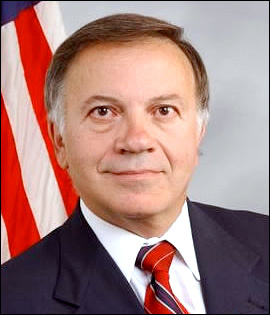 Earlier this year when former congressman and Republican presidential candidate Tom Tancredo announced that he would challenge Colorado Gov. John Hickenlooper (D) in 2014, few expected much of a contest. After all, Hickenlooper, a popular Denver mayor back in 2010, won the governorship with ease even in a Republican landslide year (51-36 percent over Tancredo who ran on the American Constitution Party ballot line). But Quinnipiac University, now for the second time in the last three months, forecasts a race that is surprisingly close. According to the new Q-Poll (Aug. 15-21; 1,184 registered Colorado voters) Gov. Hickenlooper leads Tancredo only 46-45 percent, an almost identical result to what they found in their June survey (42-41 percent, Hickenlooper over Tancredo). Furthermore, the governor is upside-down with respect to the respondents’ opinion about whether he deserves re-election. Forty-five percent of those sampled believe he should win a second term; 48 percent do not. Several things are occurring here. First, clearly Hickenlooper’s personal popularity is suffering, to which his job approval rating of 48:44 percent positive to negative attests. Second, a relatively severe gender gap exists. Women give the governor positive reviews, but men view him in the exact opposite context. Third, Hickenlooper holds decidedly unfavorable ratings, and overwhelmingly so from men, regarding his highly publicized actions pertaining to the death penalty and gun control. Women support the governor over Tancredo by a 53-37 percent margin, but the male preference is much different. The latter group backs the Republican challenger in double-digits, 53-39 percent. In terms of personal approval, females have a positive opinion of the governor (54:35 percent), but men disapprove of him (44:50 percent).